It seems that Japan always gets the good stuff. 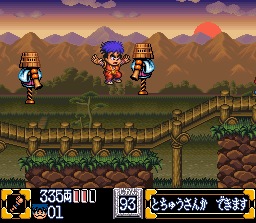 At least, that's the case with Ganbare Goemon 2: Kiteretsu Shôgun Magginesu, which is a Japan-only direct sequel to the 1991 SNES game Legend of the Mystical Ninja and a continuation of the Goemon series popularized on the MSX and the Famicom. 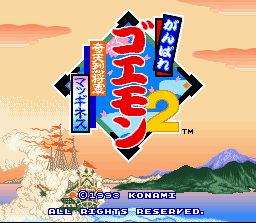 In actuality, this is the first of three Japan-only sequels for the character who's also made more than his fair share of cameo appearances in Konami games. After completing their first adventure, Goemon and close friend Ebisumaru head off for a little rest and relaxation. Their vacation is interrupted by the ninja Sasuke who informs them of the news that an evil western warlord named Maggenesu and his bunny-man army are coming to invade Japan, conquer it, and adapt it to western ideals, which are tantamount to evil. (Nope--they still won't get over it. And we can see why this wasn't released elsewhere.) 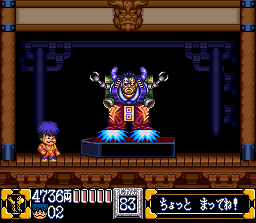 So it's up to Goemon, Ebisumaru and Sasuke to prevent this from happening. 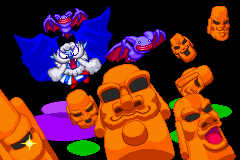 What's important to us is that their trip lands them in the Circo Puerto Amusement Park, where they can attempt minigames to collect demon heads; after all four are collected (including one that can be earned by playing a minigame based upon Konami's famed shooter Xexex), they'll be able to uncover a hidden stage. 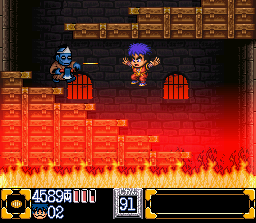 The fiery level is appropriately called "Hell." 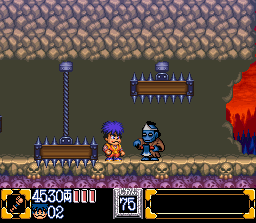 In terms of enemies and traps, it reminds us very much of a stage ripped right out of Castlevania. 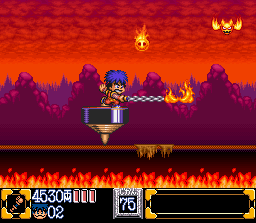 Goemon and friends will be assaulted by normal and axe-throwing zombies, balls of lava, fire bats, and platform-circling spikes; they'll also negotiate through and around spike bed and spinning-top platforms while racing against a rising pool of fire. 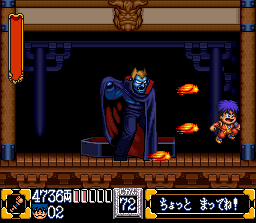 But nothing will make them feel quite as at home than the boss of the level--Dracula! The Count will make his entrance onto the battlefield as accompanied by the castle-entrance tune from Castlevania. 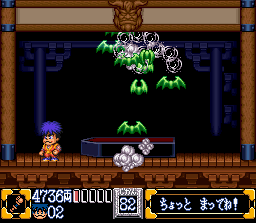 Our old pal won't introduce any new tricks, though: It's all about teleporting in and out and stopping to release three-directional fire bats. 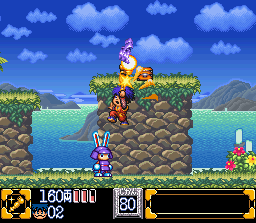 The only way to deplete his energy meter is to strike his noggin' (preferably, for maximum nostalgia, with Goemon's chain whip, if you have his weapon powered up to that point) a number of times. As has become his calling card, a depleted Dracula will reveal his true form following an intense initial battle. "I am a vampire hunter of the bloodline of the Belmondo family." "I came to Japan because I had felt the sign of Dracula." "However, was that my imagination?" 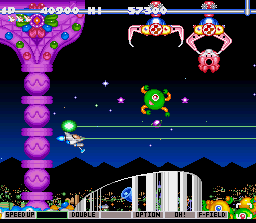 Konami in 1998 created a side-scrolling sci-fi shooting game called Parodius for the MSX computer system. 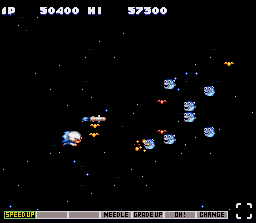 Konami meant for this wacky shooter to be a spoof of its classic hit title Gradius ("parody" plus "Gradius," you see). 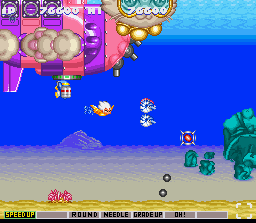 Over time, the Japan-only Parodius series spread to several platforms, including the Famicom, Game Boy, and the PC-Engine; it also found its way into arcades (though, Kid Dracula does not appear in the arcade version). 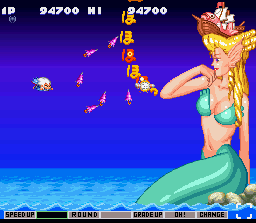 By the time Gokujou Parodius was released in arcades (sometime in 1994) and on the Super Famicom (late in the year, on November 25th, 1994), it had grown into yet another mascot-themed Konami game. 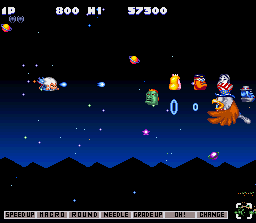 This time, many of its famous characters take the skies to partake in the Gradius-style action. 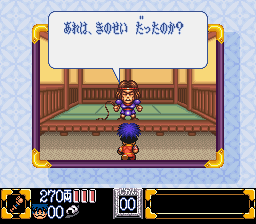 Participants include Goemon, Vic Viper, Takosuke, Twinbee, Pentaro, Hikaru, Mambo, Michael, Koitsu, Upa, and our Castlevania hero Kid Dracula. He's called simply "Dracula," proving further that this is the real dark lord and not his son, Alucard. However, wereryu64@msn.com informs us that the second player's character list is slightly different, as it features alternate characters or those based on existing characters; they include Lord B., Balial, Winbee, Hamako, Akane, Samba, Gabriel, Ebisumaru, Aitsu and Rupa. 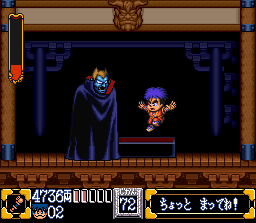 Kid Dracula is instead called "Kid-D." Maybe Kid Dracula is the representation of both father and son? Or is this the proverbial father-son get-together? 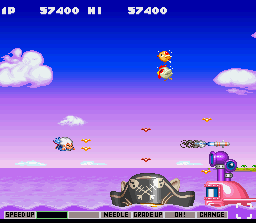 The main hero is Gradius' own Vic Viper, whose style is emulated somewhat by the other heroes, including ol' Kid Dracula, who to us is of most interest. 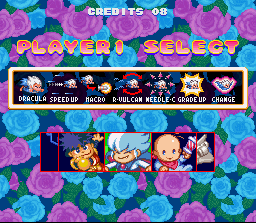 You'll from the start feel right at home when in control of Kid Dracula thanks to the Kid Dracula main theme, which will play for a short period before segueing into the stage's proper tune. 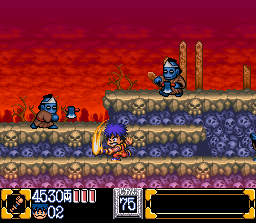 Kid Dracula starts out with the ability to shoot fireballs. As he destroys enemies, he'll collect power-up symbols that allow him to cycle through an inventory and thus choose his next weapon. He'll almost immediately gain the ability able to rapidly shoot fireballs, and he'll from there increase the level of this assault by stacking power-ups, adding additional firepower and a greater attack-rate. 3DO in 1995 announced that it completed work on the next generation of its M2 technology, which would be marketed as a "quantum leap in advanced CD entertainment technology" for consumer software (mainly as an add-on for its lagging 32-bit console) and arcade machines. Borrowing a move from Sony, the breakthrough was touted as being the end-all, be-all of advancing technology--a promise that was in the end, as usual, nothing but hype. This turned out to be the company's last gasp before it dropped out of the console race. 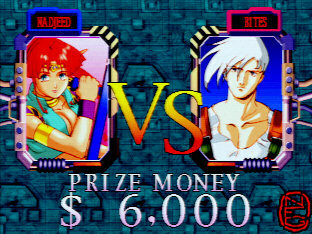 You won't be shocked to learn, though, that Konami was one of the few developers to make use of the arcade technology, using which they created a rare title (somewhat relevant to Castlevania) called Battle Tryst, a unique fighting game. 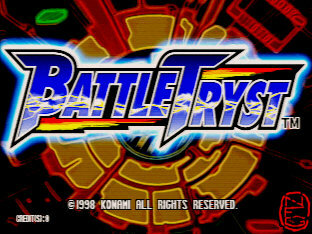 Battle Tryst is so rare, in fact, that I don't know a single person who has ever played it. 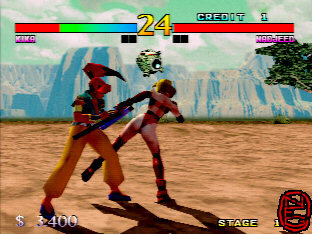 According to nfg.2y.net, the game's fighting style is a combination of Toshinden, Tekken and Virtua Fighter and uses Capcom's usual drain-the-meter system. 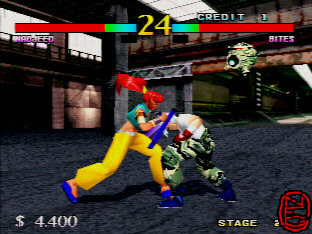 Its presentation can be described as risqué, which seemed to be an industry theme for fighting games in the mid-90's. 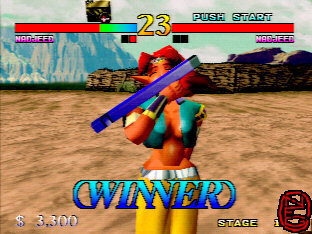 Those available for play include fighters named Yamato Takeru, Kika, Nadjeed She, Nuea, Kitagima, Madoka, Arex, Zai Zai, Elein She, Gare, Yamamoto, Youjiro, Bates Macintosh, Chio Tarran, Zankoku, Steve, Pastel and Sintoro. 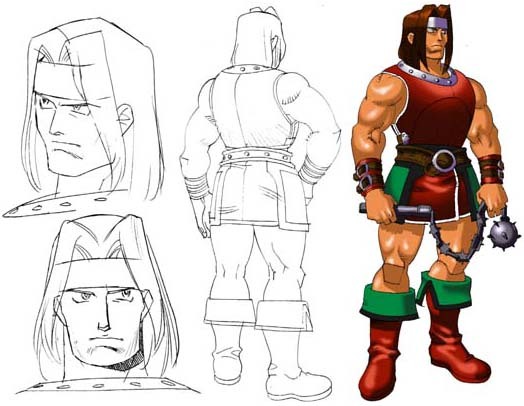 Set to join the cast of many were two no doubt unlockable Castlevania heroes: Simon Belmont and Richter Belmont; though, these plans were nixed for reasons unknown, slotting the pair in the "Canceled Character" category. 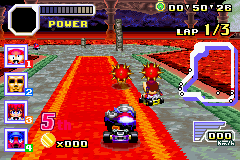 In the same vein of similar kart-racing games comes Konami's contribution to the genre--Krazy Racers, known in Japan as Wai Wai Racers. There isn't much in the way of story other than the nature of the title, the concept of Super Mario Kart that all of these games seem to emulate: A gaming company's many mascots come together on the racing track to compete in a battle for driving superiority. 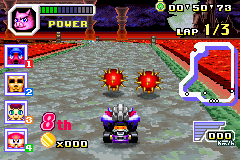 It's in this case Konami, which in creating Krazy Racers emulates the original Super Mario Kart to the letter, with everything from coin-collecting to an airborne moderator who fishes you out of hazards. Originality, you could say, is somewhat lacking. 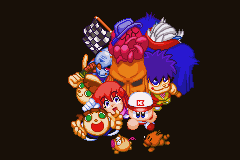 Another problem is that none of the mascots are all that familiar, since most of them come from games seen only in Japan; these racers include Goemon the Mystical Ninja, Twinbee, Parodius, Ninja, Moai, and others. There is, however, one character who is very familiar to Konami's western audience and Castlevania fans in general--Count Dracula, the ultimate evil of the Castlevania universe. 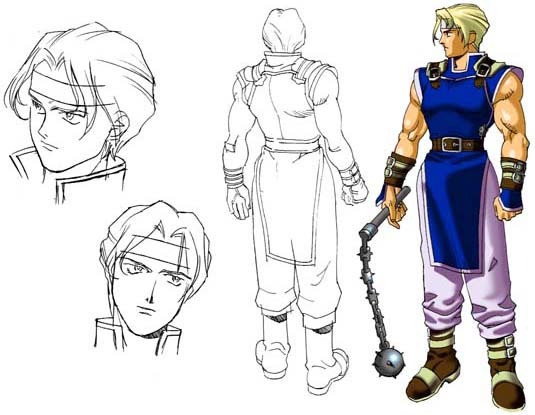 (Why he was chosen over any of the Belmonts is a mystery, since you'd think a canon hero would be a huge selling point.) Dracula is the big roughhouse of the bunch--similar to Donkey Kong, Bowser and Wario from the Mario Kart series--with his slow acceleration, high top speed, and bruising frame; his reckless driving style makes him an ideal choice for such a game. 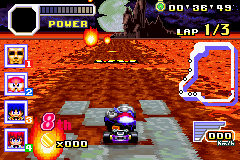 The characters race on several tracks that are grouped into sets. In three of those sets are levels designed to fit Dracula, all of which take place at the outskirts of Magma Castle, where you'll race around the fiery lava surrounding Castlevania, his domain (each track reminiscent of Bowser's Castle from Mario Kart). The courses are of course littered with debris and appropriate obstacles like bats, pillars, crushing spiked balls, fireballs and rotting bridges. 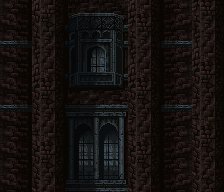 If you look into the foreground, you can even see familiar landscapes like mountains, ominous clouds, and the legendary Castlevania. You'll race through the Magma Castle 1 track twice, the second race loaded with even more deadly obstacles. 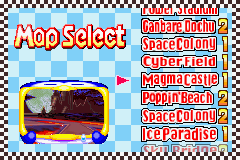 In the final cup race, you'll tackle Magma Castle 2, which isn't as heavy on obstacles but is something straight out of F-Zero--the usual "multiple ridiculous 45-degree turns in succession." The music guiding you along is Beginning, known better as the first-stage theme of Dracula's Curse. 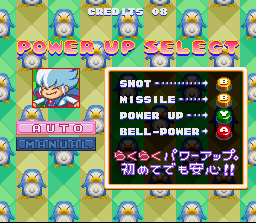 Weapons are available to all of the characters, as you'd expect, and they include bombs, invisibility, regular and homing missiles, electrical charges, icicle-dropping, protective shields, bottomless-pit drillers, and a strange item that allows you to turn opponents into pigs. 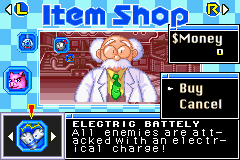 To use an item requires a purchase; using your coins, should you remember to collect them, you can buy newer items directly from Dr. Cinnamon, the genius of Konami's world. Most disappointingly, character-oriented weapons, as you'd find in select Mario Kart titles, are nowhere to be found, which for the Count means no three-direction fireball assaults. Still, should you fight your way past the other character, endure each track's variety of madness, and finish first in points, numerous celebrations will be in Dracula's future. Use whatever means to grab the gold trophies in the four cup modes (Krazy, Hyper, Premium and Champion) and a Dracula-specific ending-shot will be yours.